Sid is finally eating by himself! So IKEA was blessed by Sid having his first kiddies mean there and eating by himself! The joy parents feel when their child takes their first steps in all areas is immense. 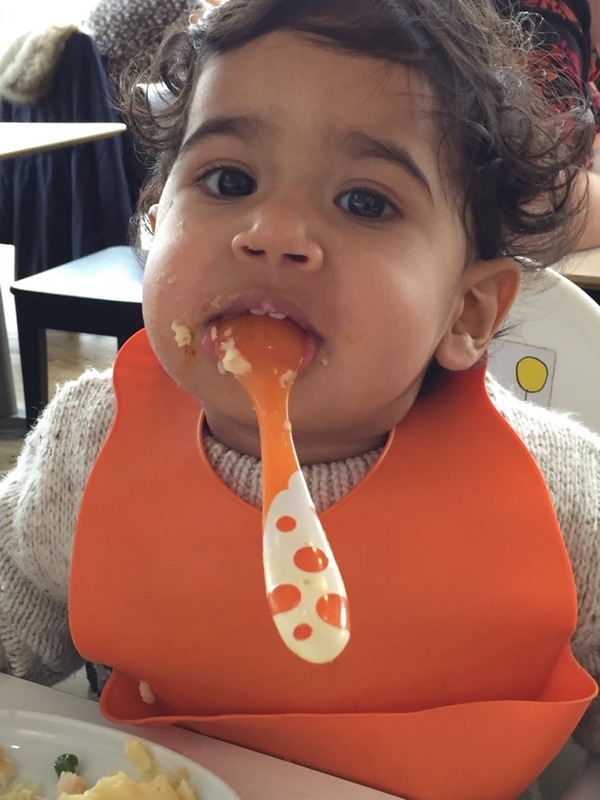 As crazy as the little man is, he even posed for the camera with his spoon stuffed nicely in his mouth, and it brought tears to my eyes to see him nourishing himself, when I still have the memories of me having to pick him up out of his Moses basket to give him to his mum to feed from. In 14 months ive seen him go from dependent feeder to independent feeder, and it’s a great feeling. So to the little man – well done, now don’t make a mess!